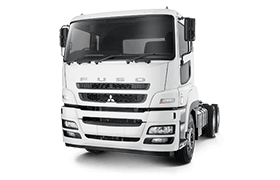 Transtex Transport director, Shane Blakeborough, has a tradition of naming all his trucks and knew exactly what to call his bold new white Fuso Heavy trucks as soon as he saw them. The first all-electric truck fleet test in Germany started overnight. 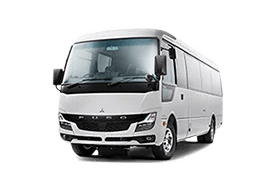 Fuso is working with the Municipality of Stuttgart and logistics company Hermes, which are running five electric Canter E-Cell trucks. Victorian-based livestock hauler is moving sheep and cattle in a trophy-winning Fuso truck. Shane Palmer, who bought the FV Heavy cattle truck from a Fuso dealership last year, recently won the Best Japanese Truck trophy at the Koroit Truck Show, an event that draws trucks from all over western Victoria and beyond. 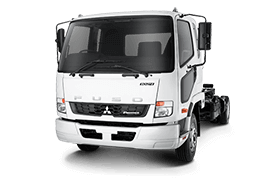 A Fuso Canter full of vitamin C is being used to boost the health of school children in the Geelong region. A Victorian charity is using a fleet of Fuso Canter trucks to collect millions of donations every year to raise money for diabetes research, children’s camps and support services. Fuso has introduced an imposing concept truck inspired by a giant spider. A decade of reliable service from a single Fuso truck was enough for a Perth-based building site-preparer to buy seven more. 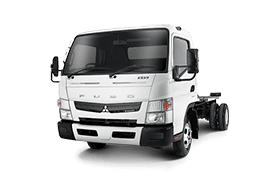 Mitsubishi Fuso Truck and Bus Corporation (MFTBC), one of Asia’s leading commercial vehicle manufacturers, celebrated its delivery of its 50,000th Canter light-duty truck sold in Australia to StarTrack, one of Australia’s leading road and air freight operators.